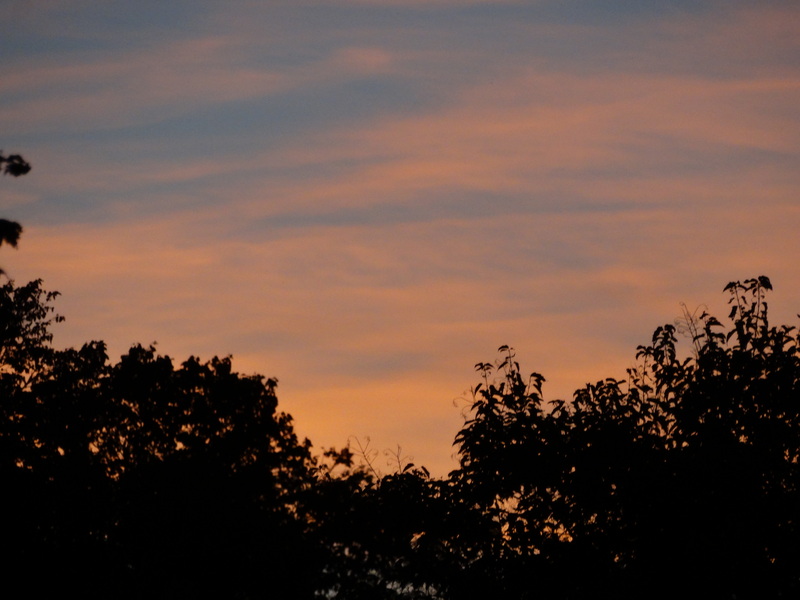 Another beautiful sunset over Westmount Park. 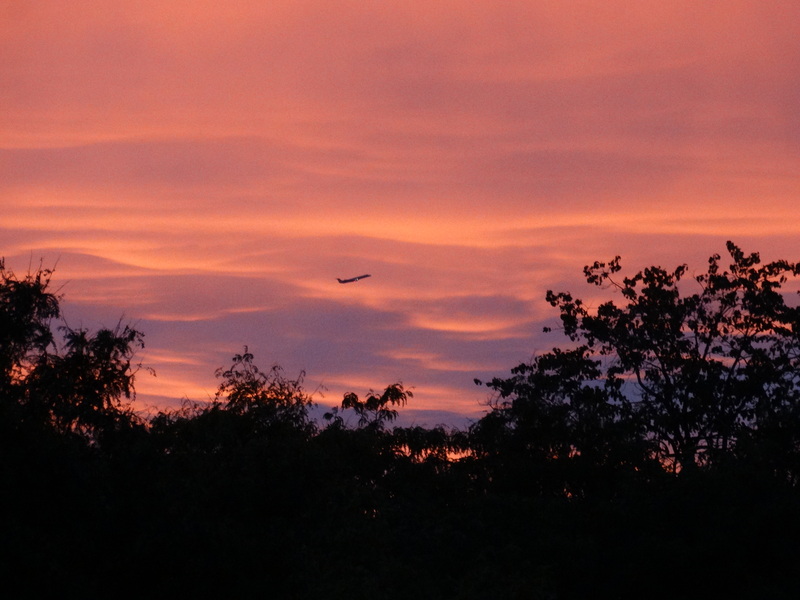 If you look closely, there is a plane taking off from YUL – the passengers must have had a spectacular view of Montreal! 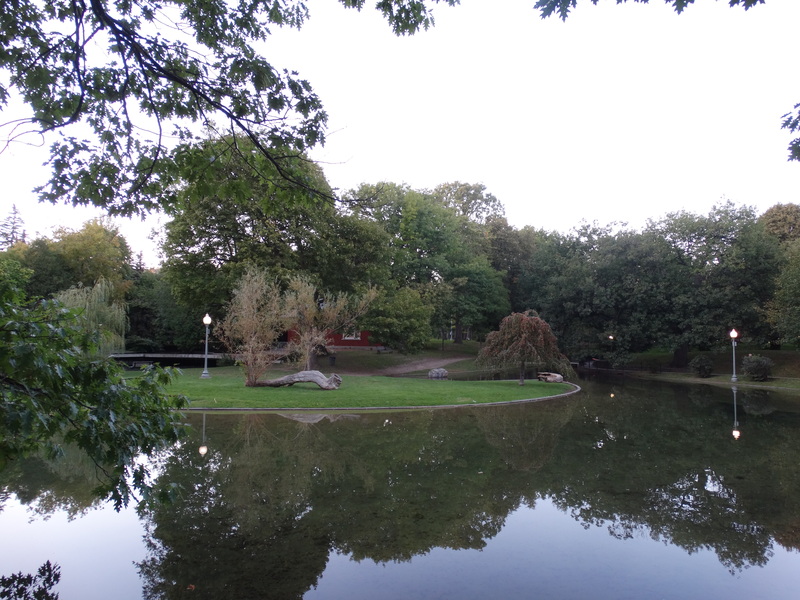 The City has drained the park’s lagoon for the season. 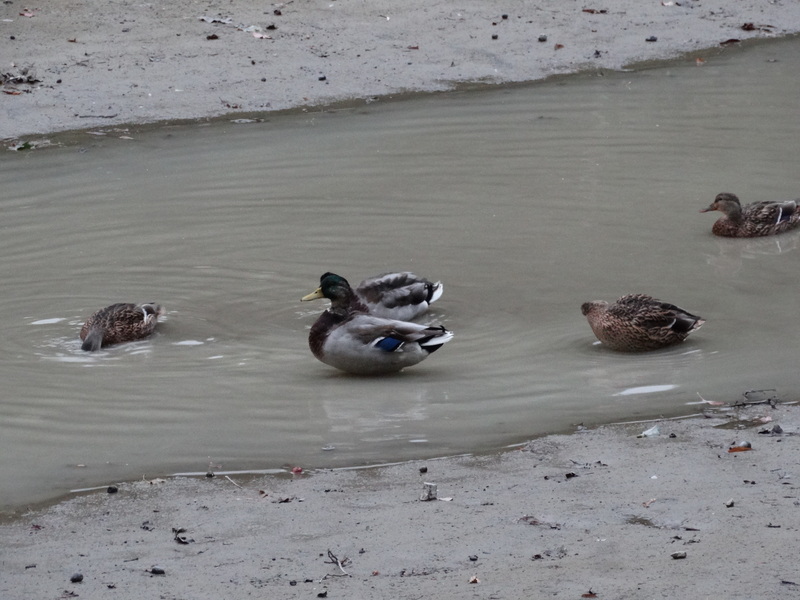 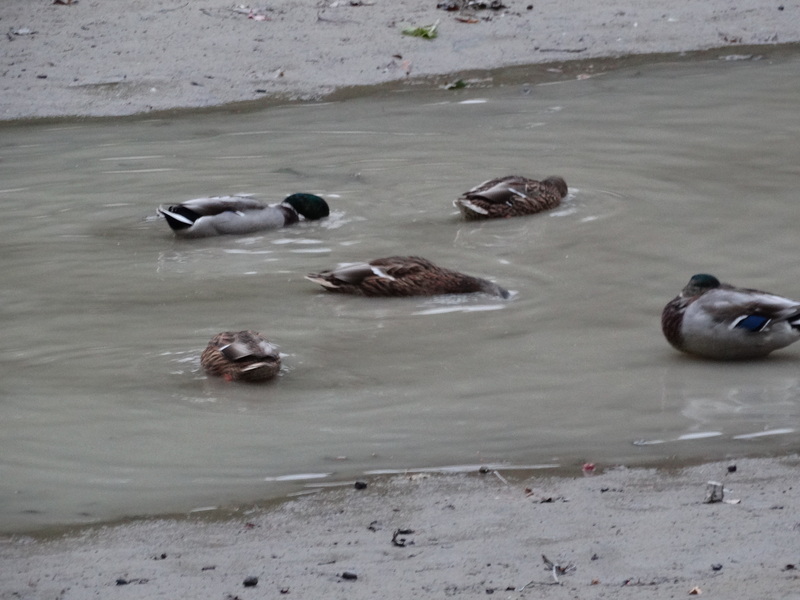 There are, however, several (resident) Mallard ducks that are trying to use the little water that is left. 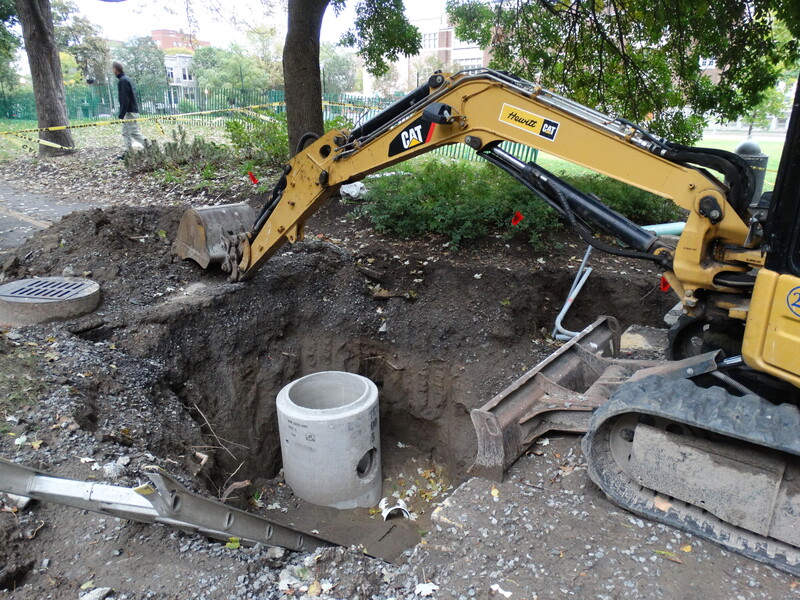 Replacing the Victorian era infrastructure in Westmount Park. 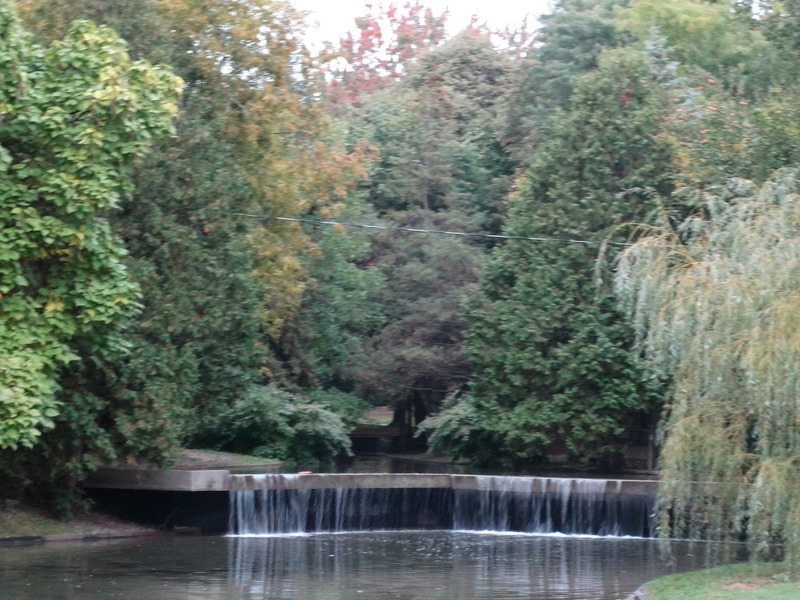 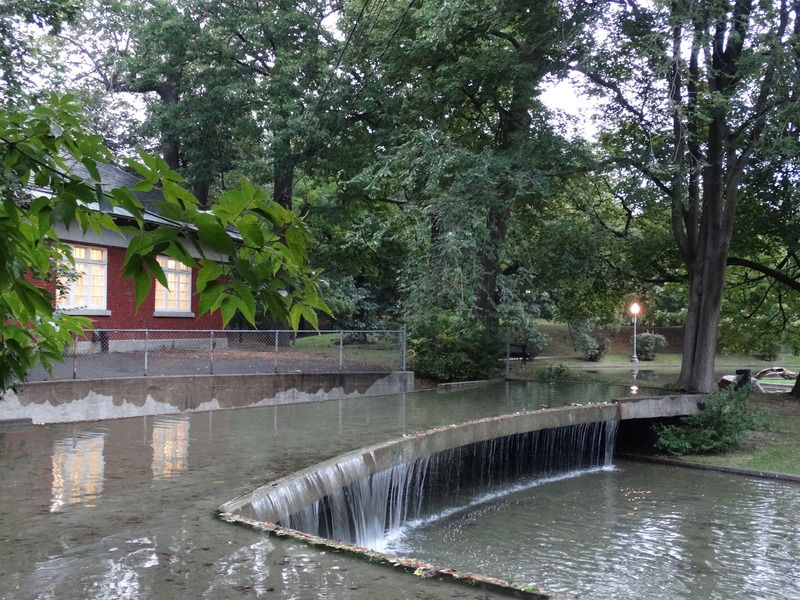 Our walk through Westmount Park during a rainy Monday evening. 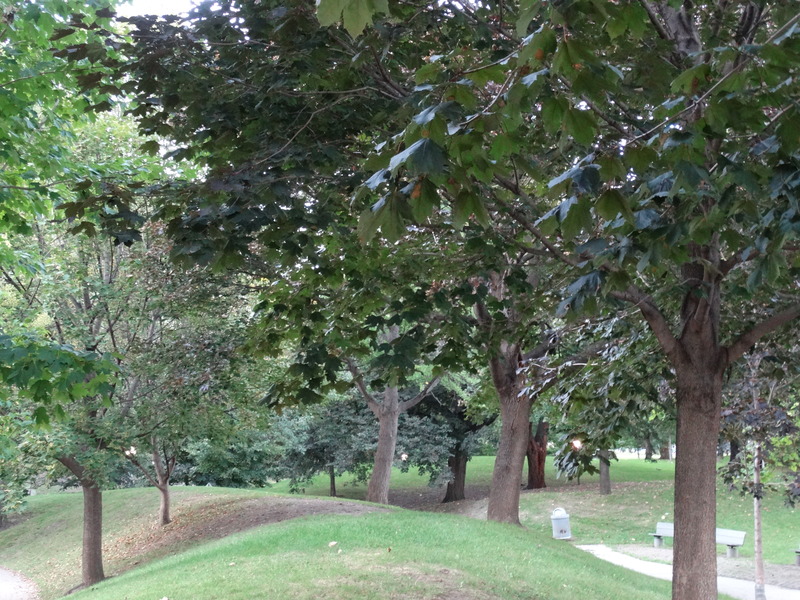 There is always something “surprising” to see in Westmount Park. 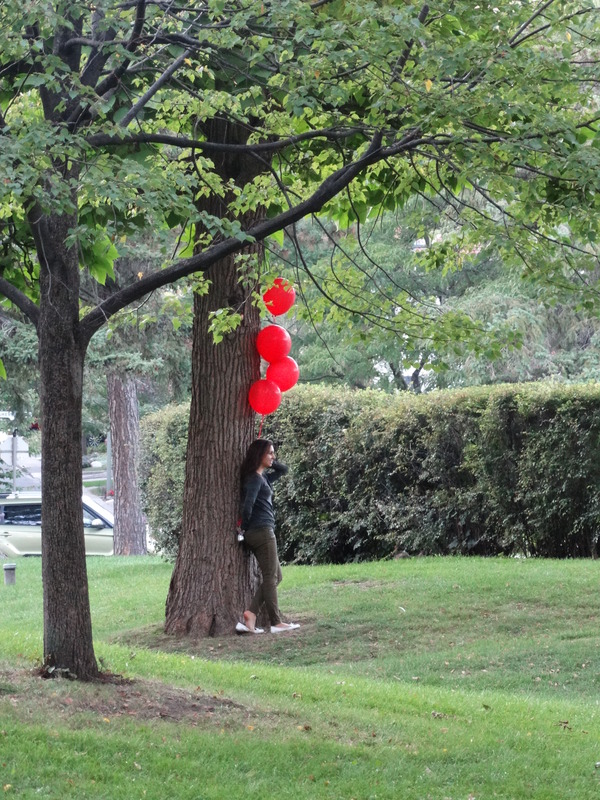 The balloons might have been from a former celebration. 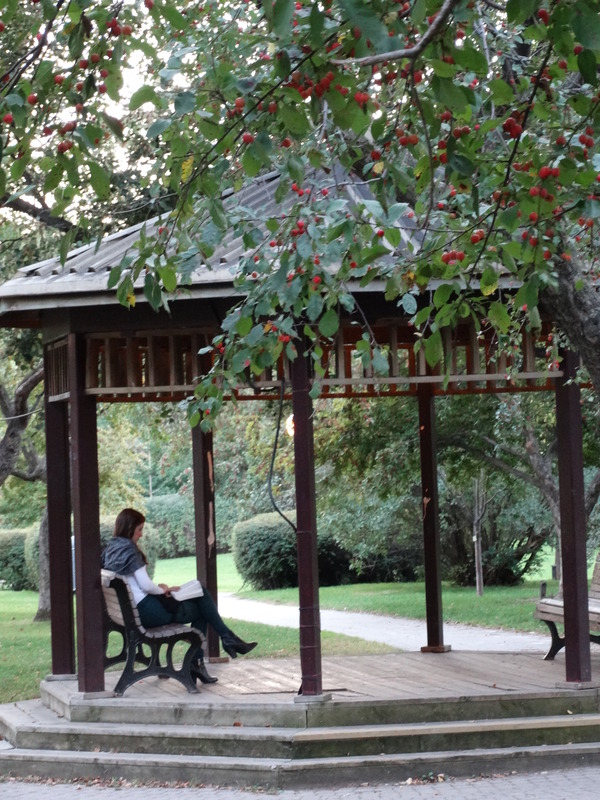 I have also often noticed people reading (“real books”) in the evening seated under the park’s gazebo. 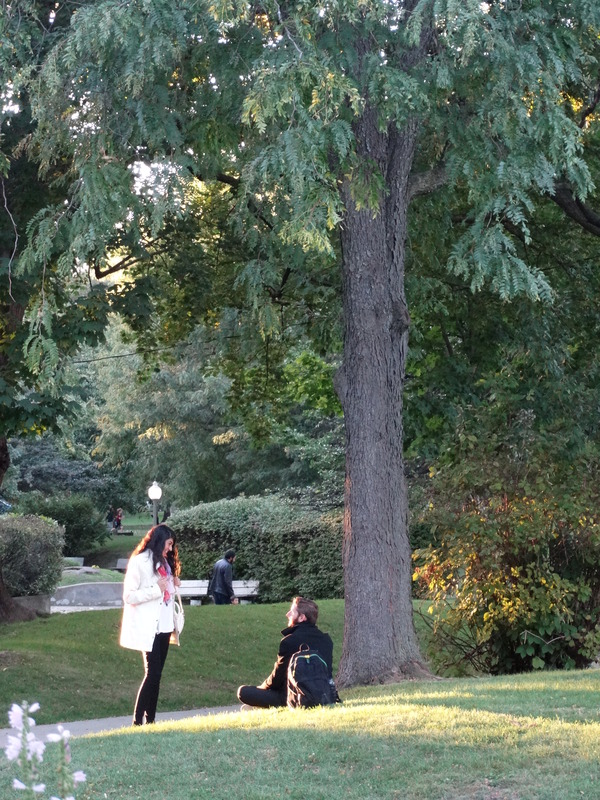 Our walk through Westmount Park this evening was rewarded by a beautiful sunset. 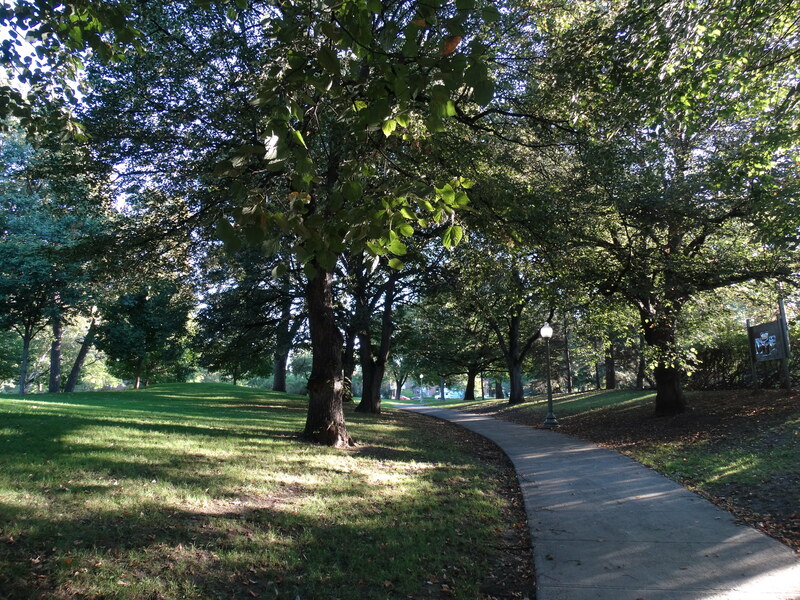 Two more pictures of the park – Fall has arrived – soon the cold evenings will turn the leaves into a rainbow of colours! 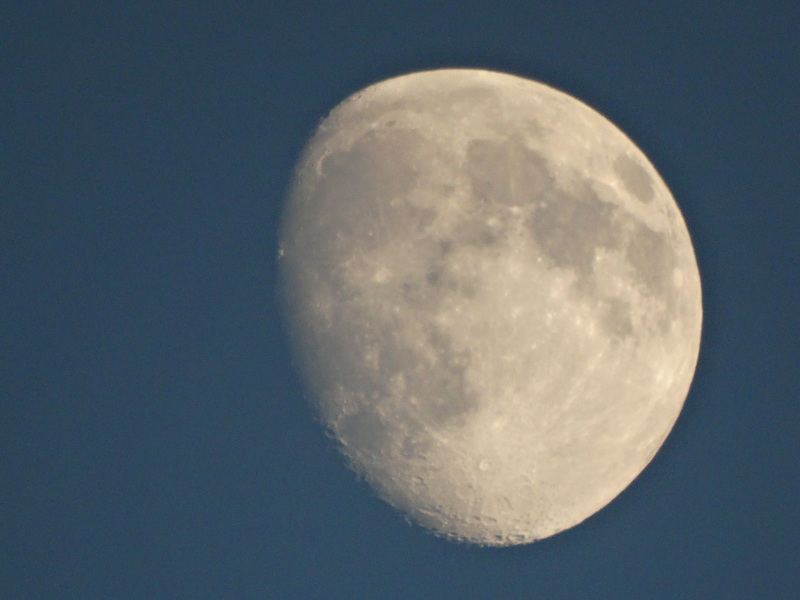 The moon was quite spectacular above Melville Avenue this evening – a prelude to Sunday evening’s “super moon eclipse”. 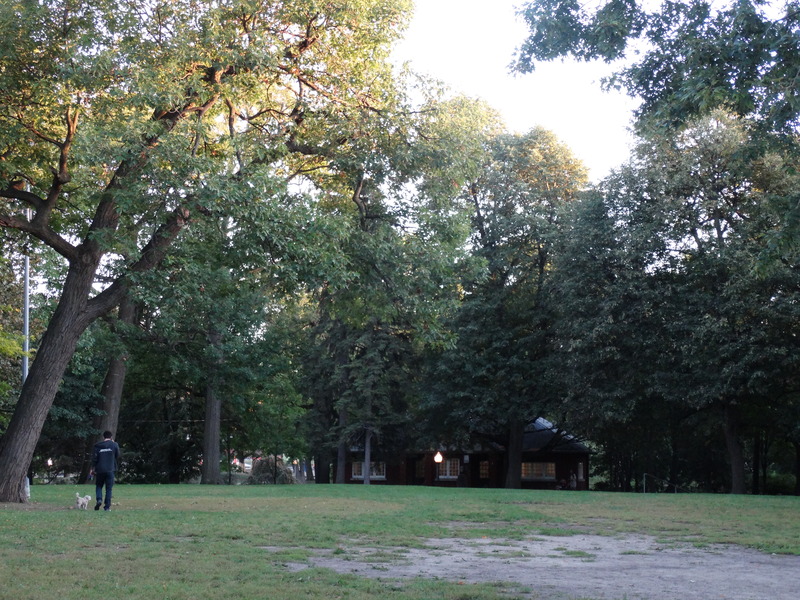 Westmount Park’s raised field that is repurposed as a skating rink during the winter season.